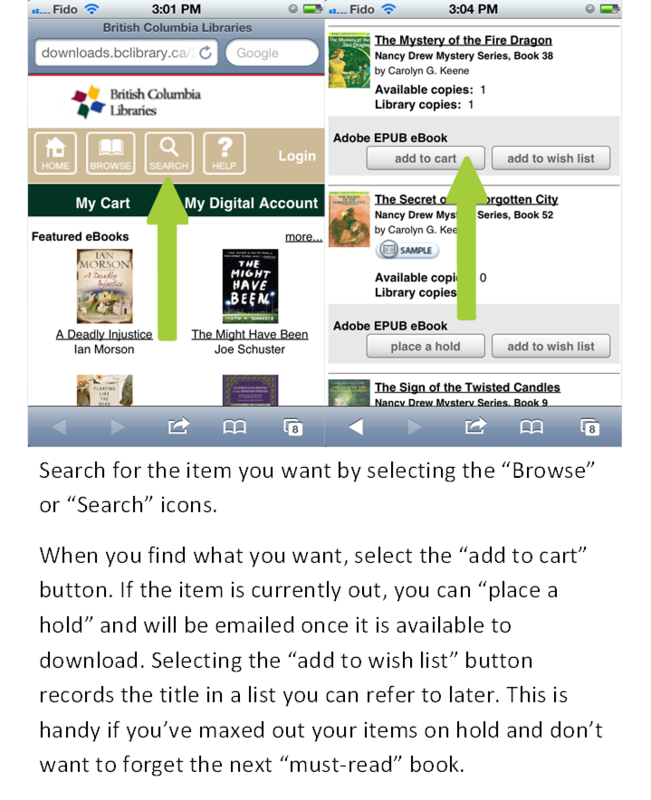 eBooks and eReaders and Apps, oh my! 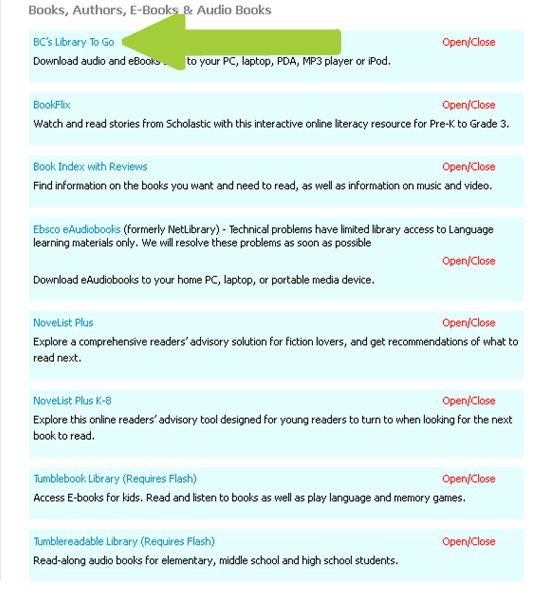 Discover what your digital reading options are and how to access the public libraries eContent. 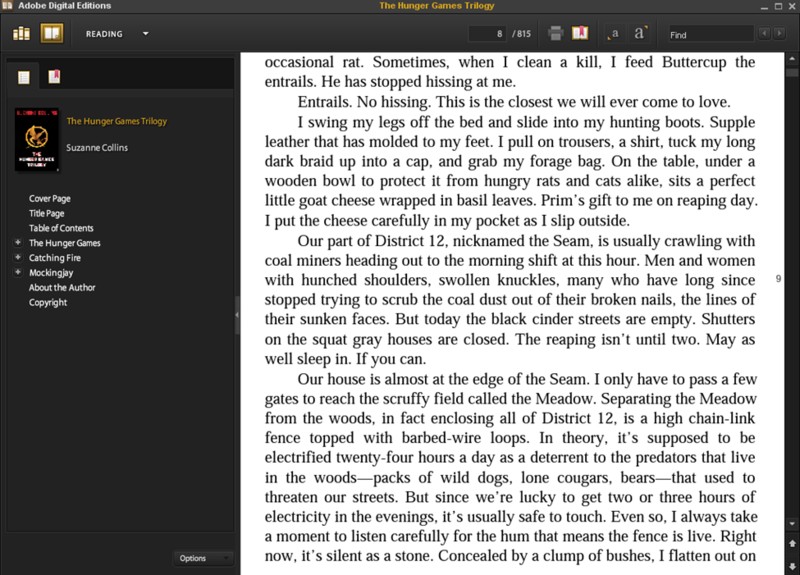 There are many eReader options available on the market today. 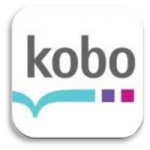 I find that Kobo (the Chapters eReader tablet) is the most Canadian-friendly as far as available books and the ability to checkout eBooks through our public library system. 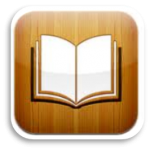 There are also many eReading apps available for mobile devices through the iTunes app store or the Android market. Many of them have similar features, they just look and navigate a little differently. 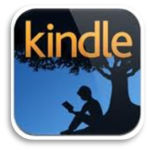 The best plan is to download a variety of free eReader apps and try them out until you find one that is a good fit for your use and style of interacting with eBooks. Below are a few of the main apps I would recommend. If you click on the image, you will be brought to the iTunes app store description of the app. Many of these apps also have Desktop interfaces that you can download. 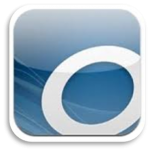 The desktop version and mobile version will sync once you create a user name and login. 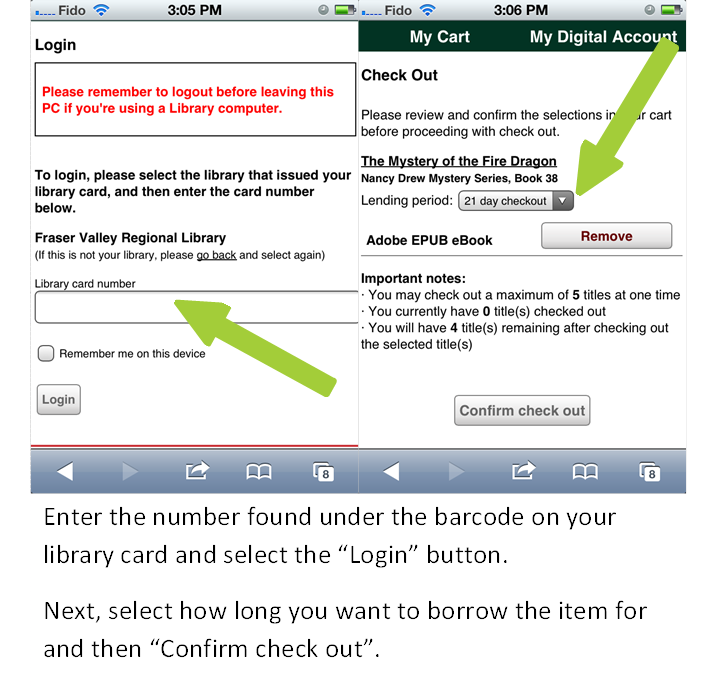 Once you have a pin, you are ready to access any of the FVRL Online Resources. 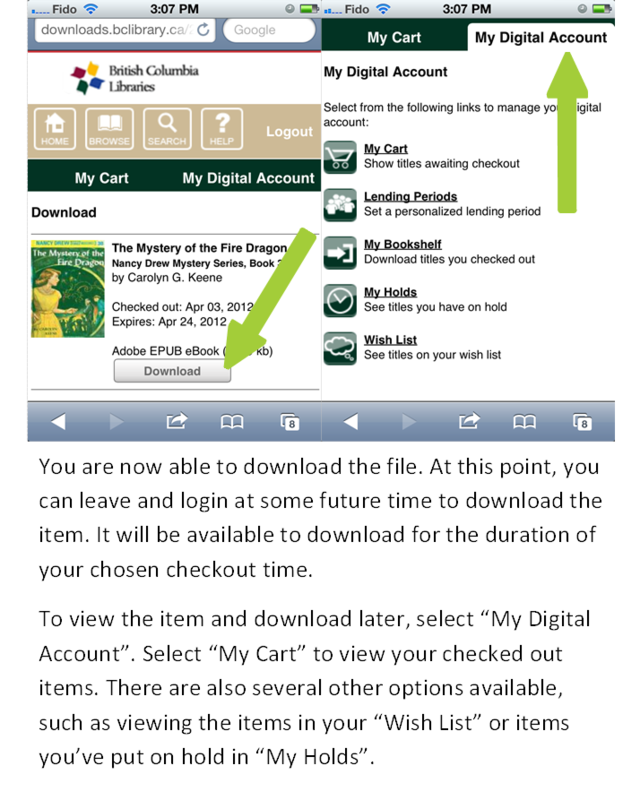 To view the eBooks you check out/download from the library while on your laptop or desktop computer, you will need to install the free software Adobe Digital Edition s.
Adobe Digital Editions is also the software used to transfer purchased or library eBooks to your eReader device, and the software used to “Return Borrowed Item” from the Library (note where the green arrow is indicating). 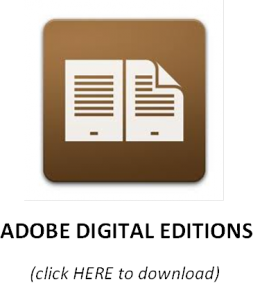 Adobe Digital Editions is also a useful eReader to use in your classroom when projecting information for your class. 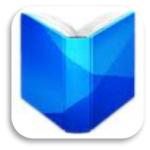 It has the benefit of bookmark features, adjustable text size, and there are no ads or other unfriendly classroom clutter. 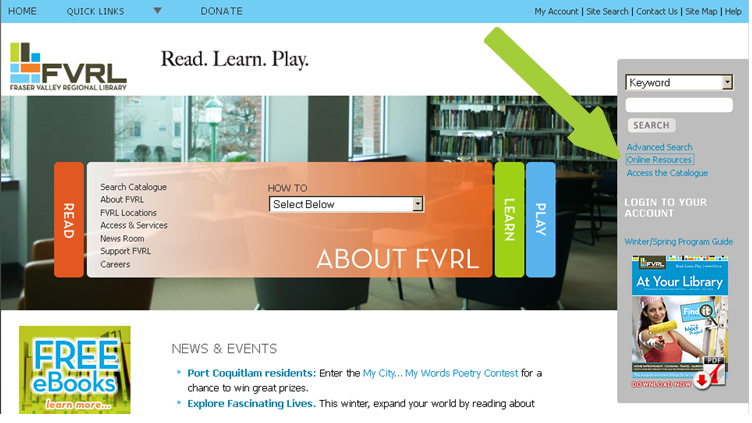 If you are curious about the digital collection and resources at FVRL and would like more information, click HERE. 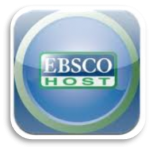 If you are on a laptop or desktop computer, go to the FVRL webiste, and then select Online Resources to access their eBook collection. 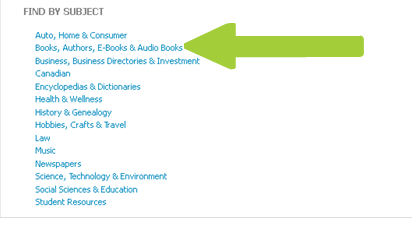 Next, select the second option “Books, Authors, E-Books & Audio Books”. This will bring you to another screen. 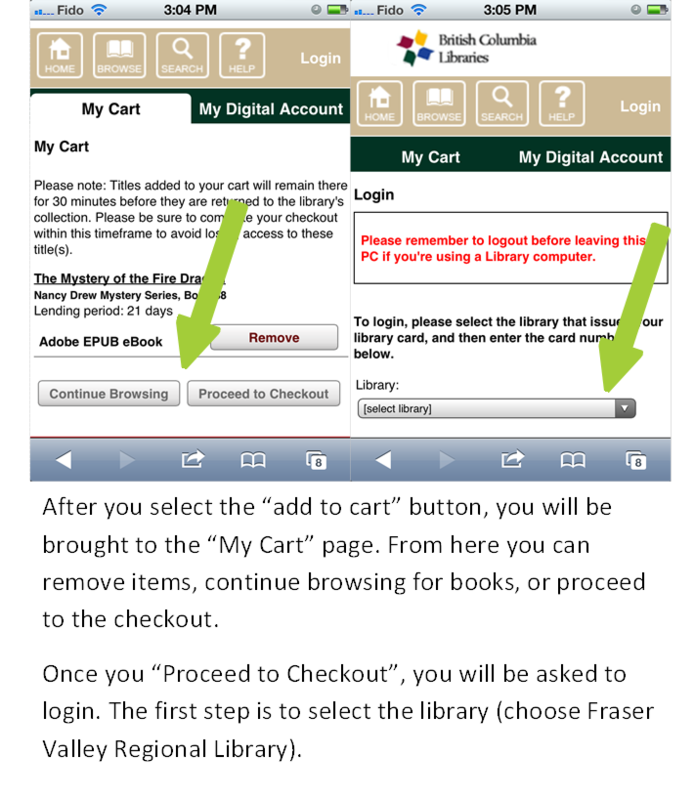 On this next screen, select the first option, “BC’s Library To Go”. 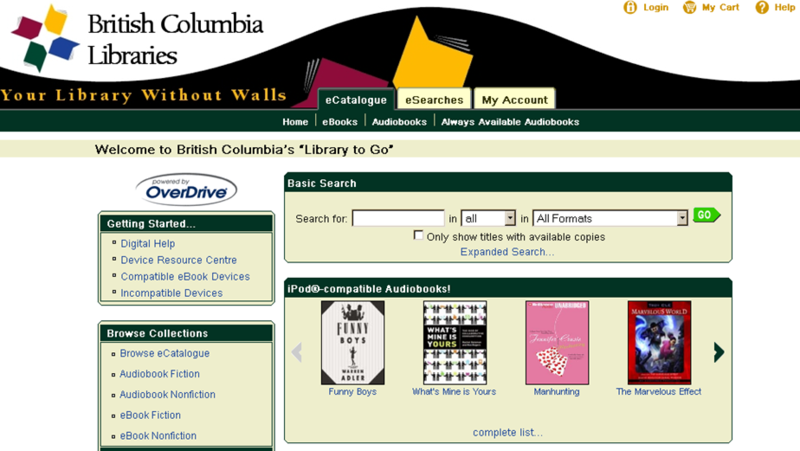 BC’s Library To Go is a searchable catalog, similar to the library catalog. 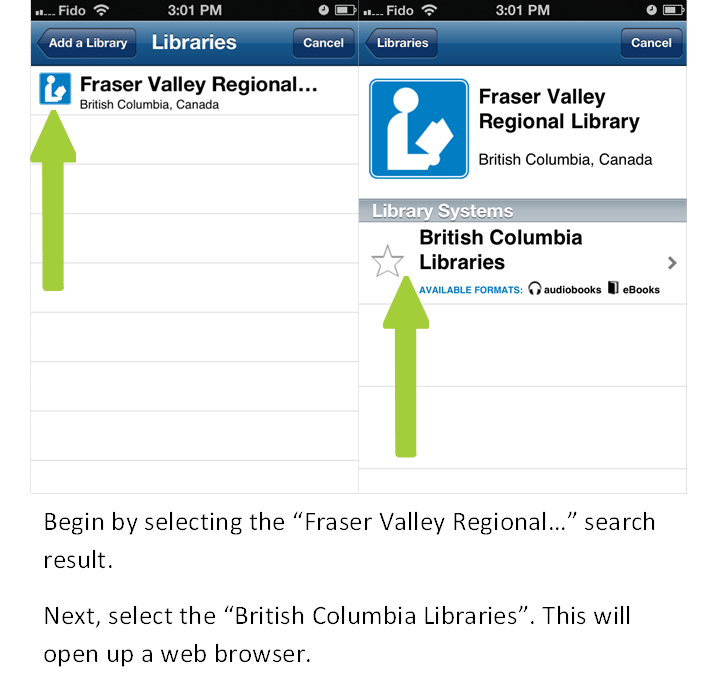 I will describe how to navigate this resource at the end of the next section that discusses accessing BC’s Library To Go from a mobile device. 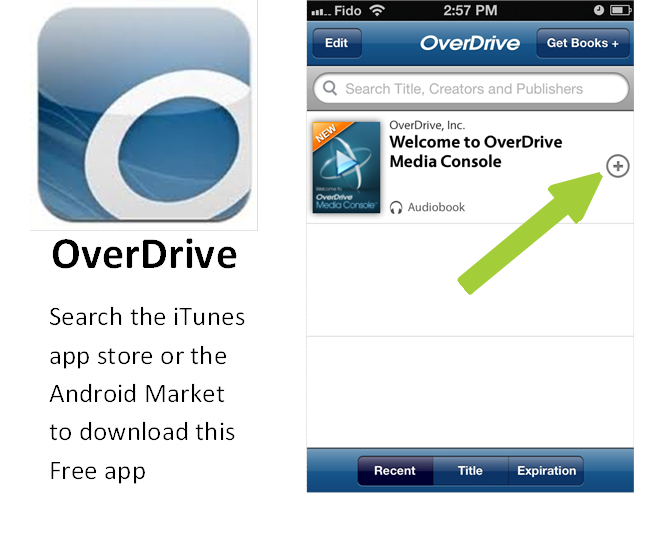 To access this same resource on your mobile device, you must download the app OverDrive that was mentioned earlier. 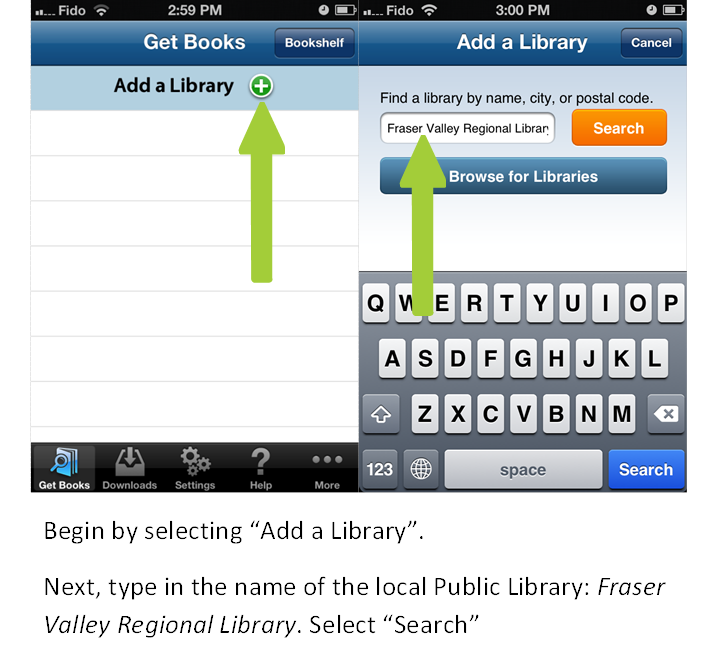 These next several steps are applicable to searching and checking out items through your mobile app or while using the webpage version of BC’s Library To Go on your laptop or desktop computer.